*Reminder* Please call your U.S. Senators to save our wild horses and burros. 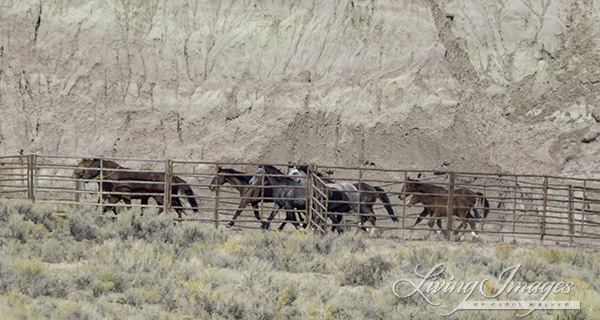 The last few days of the roundup I was living in nervous anticipation of whether or not Judge Frudenthal would grant our Preliminary Injunction and stop the roundup at 1560 total wild horses removed until our case would be heard, or if the roundup would continue with another roughly 400 wild horses being illegally removed. We set out to “the heart of Adobe Town” as the wild horse and burro expert described it. We went the very long way, and that morning it was a 4 hour drive made longer by a flat on one of the public’s vehicles. We finally arrived to an area a bit further into Adobe Town than I usually go. There were gas pads and the occasional gas vehicle but other than that we were alone. We passed the stunning Willow Creek Rim, and the unique and strange rock formations that are so much a part of this area. We set up at a gas pad then were told we had to move because the helicopter would be driving horses that way. We finally arrived at a small rise above a creek, and were told we needed to crouch down. We were fairly close to the horses as they came into the trap for a change. 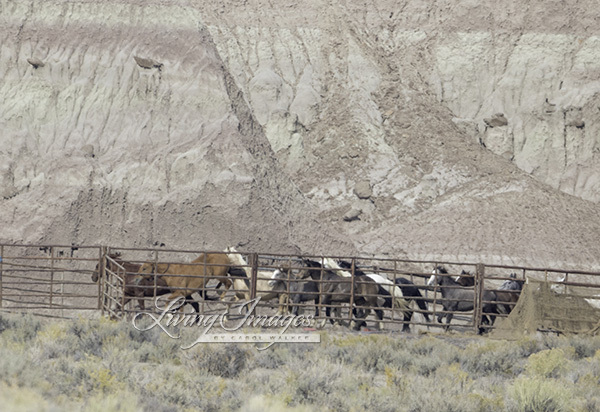 The varied and beautiful colors of these horses were absolutely stunning, palomino, roan, dun, appaloosa and the many greys. 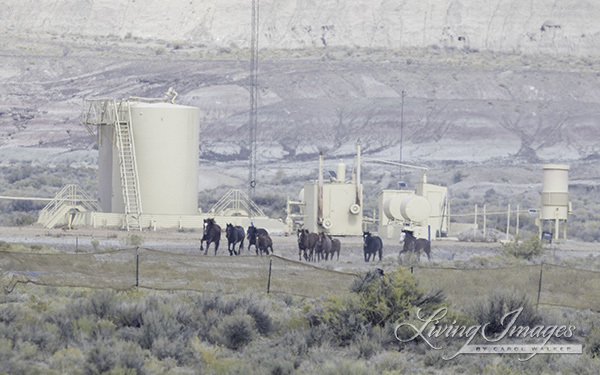 The horses running in front of the gas pad I found rather ironic. 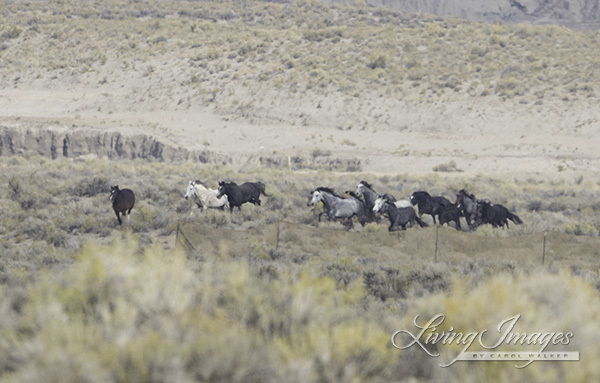 We had come to this remote area to get wild mares for the radio collar study – they wanted to have a sampling of horses from different areas.We saw one family run by very close, the small foal running full out to keep up. READ THE REST OF THIS ARTICLE HERE. Contact Lisa Reid, public affairs specialist, at (435)743-3128 or lreid@blm.gov. Call your Senators and express your outrage at the Public’s Wild Horses being captured and whisked away to PRIVATE/NO Public allowed holding facilities.. They ARE hearing about it from their own constituents. 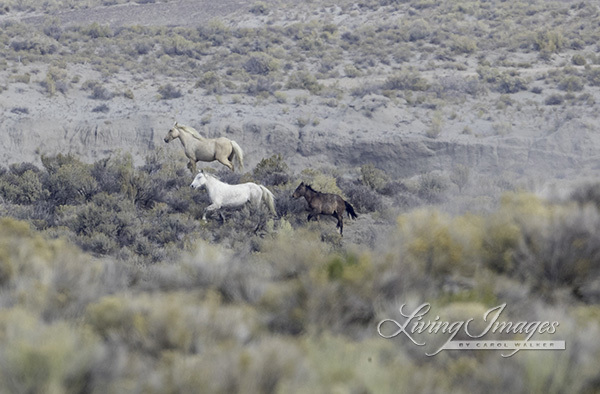 Wild horses are an iconic symbol of the West, and their handling has long been politically touchy. Land managers say the herds can grow too large for the lands they roam and must be managed through sales or euthanization. But critics have made land mangers nervous enough that they ignored laws allowing them to kill horses or sell them to any willing buyer, calling it “political suicide” to take such actions. In the world of equine welfare there may be no person subject to derision than former Montana Sen. Conrad Burns. An ardent supporter of horses as a commodity to be sold for whatever reason their owner deems profitable, the former auctioneer lost his seat in the U.S. Senate to a farmer, Jon Tester, after passage of the BURNS AMENDMENT. THE LAW WAS PASSED IN THE DEAD OF THE NIGHT after it was attached to an appropriations bill nobody had read. For the first time, in an exclusive interview with HORSEBACK MAGAZINE, Burns how revocation of the law came about. perhaps someone can find it? So in other words, Wyoming has ALREADY stolen about half of the wild horse legally designated land from the wild horses and now they are maneuvering to take away and sell what little legal land they have left? Why we may ask? For one reason only … to fatten the wallets of a few private/corporate ranchers and massive energy companies at the sacrifice of the American people and the land and wild horses that belong to ALL Americans. Go to the BLM RAS website and the geocommunicator map and see for yourself. Click on the box marked HMAs and the box marked HAs and see what massive lands that have been robbed from our wild horses. OUR tax $ spent to capture, remove and then…..SEND TO PRIVATE FACILITIES…WHERE THE PUBLIC CAN’T SEE THEM? Ranchers should have spent a lot less time complaining about wild horses unfounded of course and spent much more time Actually fighting for their own cause. You want fairness in cattle prices yet your dishing out unfairness to horses and people around you. What a shock, right? Nope, saw it coming with bright beams blazing through the darkness on a desert highway. Just west of the mule deer’s migration route is a 200,000-acre grassy basin called the Pinedale Anticline, where thousands of other mule deer winter. Despite warnings from hunters and environmentalists, in 2008 the BLM allowed oil companies to drill more than 4,000 new gas wells, many for hydraulic fracturing, or fracking, and gave permission for the wells to work year round. From 2002 to 2010 the mule deer population crashed, from close to 6,000 to about 2,000. Most say the drilling killed the deer. Anadarko did not respond to requests for comment. 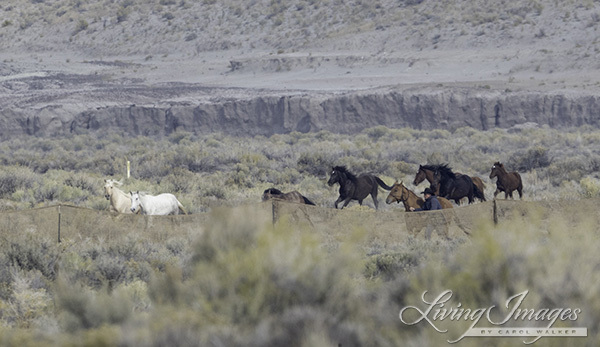 Don Schramm of the grazing association, which sued the BLM for not removing wild horses but earned praise from hunters for allowing public access, said the discovery changes nothing. Anadarko Petroleum says the crown jewel of its 2000 merger with Union Pacific Resources, an 8 million acre slice of the gas-prone U.S. Rocky Mountains, is just too much territory for one company to explore in a timely fashion. “We want to take a much more pro-active step … using other people’s money, along with our own, to leverage our mineral fee acreage and get some things done,” Jim Fuchs, who manages Anadarko’s U.S. western region, said in an Oct. 21 interview with Petroleum News. and portions of Northeast Colorado and Utah. The Bureau of Land Management will offer 45 parcels totaling 72,843.75 acres in the High Desert District at its December quarterly oil and gas lease sale. 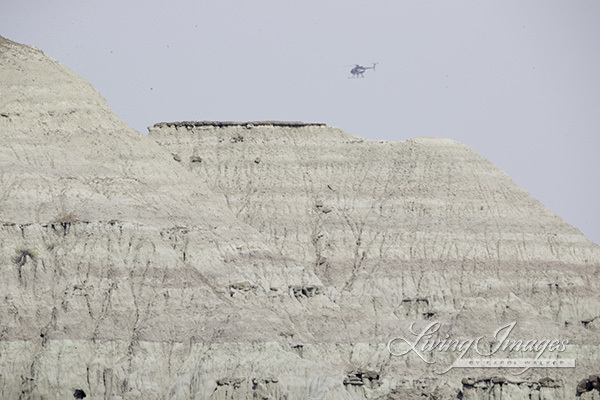 The BLM will hold the lease sale online via http://www.energynet.com. Bidding will begin at 8:00 a.m. Mountain Standard Time on Tuesday, Dec. 14, 2017. The BLM will offer three parcels in Laramie County, seven parcels in Sweetwater County, four parcels in Uinta County, and 31 parcels in Lincoln County. The lease sale’s environmental assessments, lists and maps of the parcels, and the attached stipulations are online at http://bit.ly/2gd4YGY.